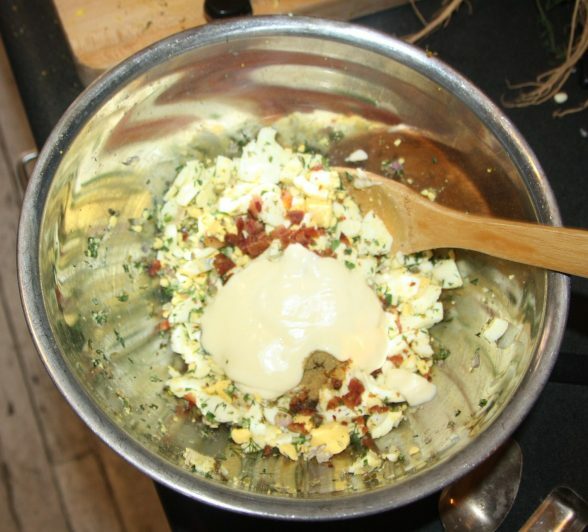 Boiling eggs: Place eggs in a saucepan hardly covered with room-temperature water and bring to a boil on high heat, which takes about 5 minutes. Lower heat to the low setting and simmer for 5 minutes. Turn off fire and let eggs keep cooking in the hot water for 4 more minutes. Run under cold water immediately. 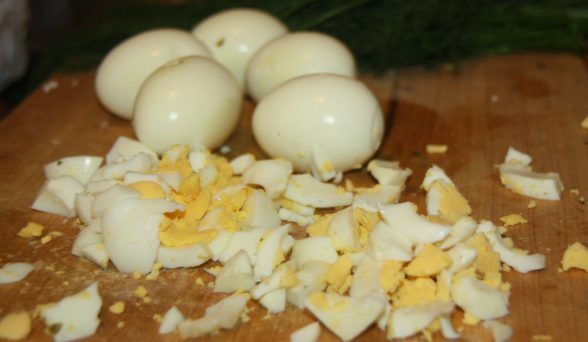 Crack all sides of the eggs by hitting them gently on the cutting board and peel. 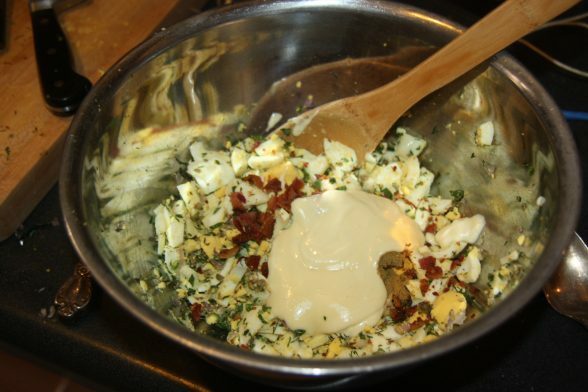 Bacon: Place a small skillet over medium heat to get hot for up to 5 minutes. Add bacon and cook each side for about 5 minutes over medium heat. Place over paper towel to eliminate part of the fat. 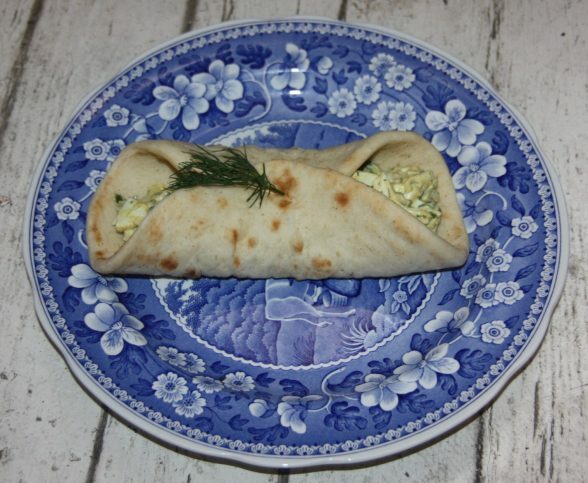 Preparing the sandwich: You can use your favorite bread; we used pita. 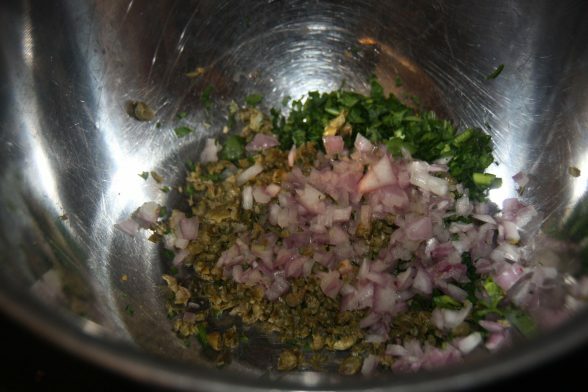 Place all ingredients in a bowl and toss gently until very well mixed. Spread on bread and serve.